In the opinion of this children’s librarian, Michigan doesn’t get enough credit for how many fabulous children’s authors we have! Best of all, the authors on this list have written tons of books for you and the children in your life to explore. Click on the titles to find them in our catalog. Every Laurie Keller book is a detailed, hilarious masterpiece, begging to be read over and over. 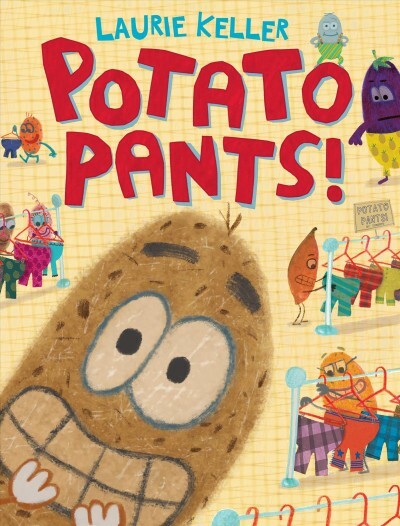 Her latest one tells the tale of a potato who rushes to the Fancy Pants shop for their one-day-only sale on potato pants! Super Manny is the hero we’ve been waiting for—a thoughtful raccoon who cares about the earth and does all he can to keep it clean. Great for the young environmentalist! Wheeler has written dozens of excellent books so you really can’t go wrong, but the sing-songy rhythm and playful subject of her newest one, coupled with candy-colored illustrations by Molly Idle, make this a favorite. This sweet tale of a girl who finds a wood duckling has a wholesome old-school feel that may remind you of nature books you read as a child.